United Nations Radio presents the story on malaria control in Afghanistan. It shows how science and a training can overcome the drain of manpower and bring hope to fight against the deadly disease. UN Story 05. UN Photo 342189. 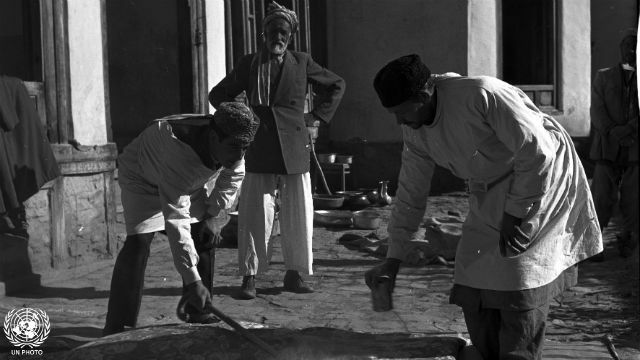 World Health Organization team in Kabul, Afghanistan, dusts bedding with DDT.